Fully loaded model includes our 5 gallon wash bucket combo, 3 outlet power cord, AND the bottle holder! Never bend down to dunk your wash mitt into a bucket ever again! I’m a bit biased, kind of like a proud papa. I think the McKee’s 37 Carolina Detailing Cart is the best thing that’s happened to detailing since the invention of the foam gun. Why? My reasoning is simple. Besides the fact that the Carolina Detailing Cart proudly displays my name, it saves you time, effort, and eliminates any possible frustration when you detail your vehicle. This rugged, made-in-USA auto detailing cart not only has a cutout for your wash bucket so you don’t have to bend over when you wash your car, its 3 shelves have tons of room for all your supplies. It’s the perfect height too – not too tall, not too short. 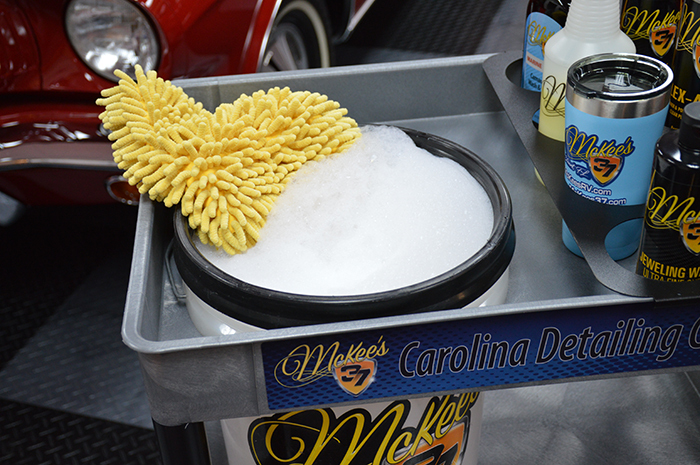 You’ll love the McKee’s 37 Carolina Detailing Cart. It’s so good, I put my name on it! 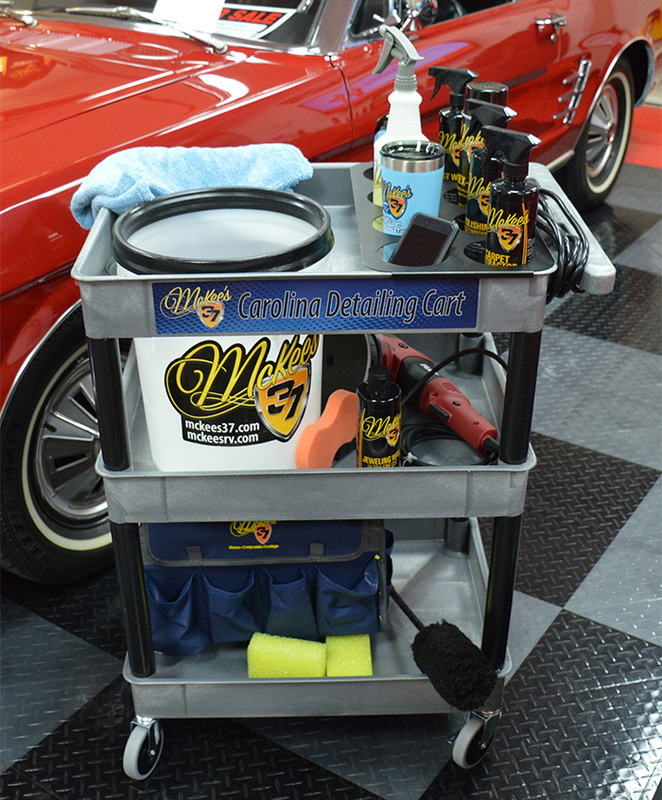 The McKee's 37 Carolina Detailing Cart has TONS of room for all your supplies! Have it your way! 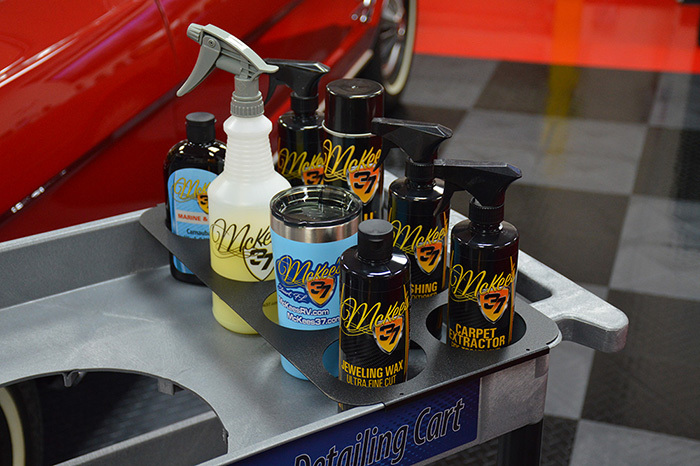 The McKee’s 37 Carolina Detailing Cart has several available accessories to further enhance the detailing process, including a bottle rack for the top shelf and a CSA-approved 15-foot power cord with 3 outlets. If you don’t already have a 5-gallon wash bucket to insert into the cutout on the top shelf, you can add one of those as well!